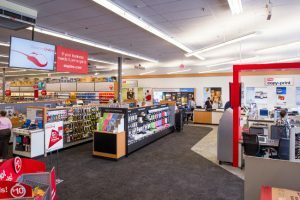 Office supply powerhouse Staples has turned its IT organization around to focus on the cloud and cognitive computing technologies to help fuel flexibility, independence, and a deliver a stronger bottom line. Staples, which provides supplies and services for so many transitioning businesses, is itself in the midst of a digital transformation, moving to the cloud and incorporating microservices, Agile development techniques and cognitive technologies into its scheme of operations. In an effort to gain more independence, Staples decided to move to decompose its applications into smaller services for a more modular, independent approach. As part of its march to the cloud, Staples is implementing DevOps practices and pursuing microservices to build apps and add functionality faster as well as to loosen itself from the grips of major software vendors and their offerings. Faisal Masud, Chief Technology Officer of Staples, told The New Stack he decided on a microservices architecture because traditionally retailers have been stuck with monolithic order management systems in the past that created a lot of dependency on third-party software to make any changes. “We’ve over time moved to microservices for all of our key customer journey areas online and decoupled from the larger WebSphere environment to having our own microservices for things like cart checkout, managing SKUs and payments and single sign-on,” among other things, he said. Staples created these microservices that have allowed the company to decouple itself from more direct third-party lock-in and just use the core functionality for compute from a technology such as IBM’s WebSphere Enterprise Java server but own the rest of it in the microservices environment. “It gives us the flexibility to use it across multiple platforms because we can use it for our other properties such as our sister properties in Canada and our commercial enterprise business,” Masud said. “We strongly believe that customer-facing applications need to be owned by Staples,” he said. “We continue to build software and platforms that are owned, designed and consumed by Staples. We also build platforms that are owned and consumed by Staples and other retailers. And we will continue to do that because we have the capability of designing products that other folks can use too. An example of that is Staples’ PNI platform, which powers the photo print operations for most of the largest retailers around, including Staples. Staples acquired PNI Digital Media in 2014. The Staples IT organization, internally known as Staples Digital Solutions, is a unified organization comprised of single-threaded teams or “pods” that are responsible for the distinct products, such as the Marketplace and things such as Search, Mobile, Cart Checkout, and products like that that affect the customer. Each team has its own developers, product managers, project managers and QA folks that test and iterate on the products. And there are regular cycles of reviewing how the releases are going across the board for all the products. The organization is set up on a traditional data center but is rapidly moving to the cloud. “Our goal is to march to the cloud by the end of this year for some of our properties and then into next year for the vast majority moving to the cloud,” Masud said. Staples works in an Agile development environment internally where some releases are happening weekly and are happening bi-weekly. Staples implemented its Agile strategy just over two years ago, driven by customer demand for faster releases. Back then, the company was delivering new releases every month or once every two months, he said. “That just wasn’t working well because the backlog was so huge on how many things got released all at once versus just iterating on new types of product features,” Masud said. When he arrived about four years ago, Staples had a very project management oriented organizational structure but moved to a product management structure, which led to the implementation of Agile. Search was Staples’ first use case for Agile. Search today has a weekly release cycle and is fundamentally run on an Agile environment. Moreover, with Masud came a big culture change for the Staples IT operation, as he not only brought in new methods but also an influx of new talent from e-commerce organizations such as Amazon, eBay and Groupon to implement the change. “We couldn’t do it if we just had to do it ourselves with existing people because you wouldn’t know what you were supposed to be doing,” Masud noted. Meanwhile, Staples began dabbling in cognitive technology with the help of IBM’s Watson cognitive computing service. Masud said he began to see cognitive technology coming into his day-to-day life and realized Staples could capitalize on it. The inception of the idea to use cognitive was the Staples Easy Button, which the company has had for decades and sold close to eight million of as a toy. But the company began to think of ways to give the button life. Staples launched a pilot of its Staples Easy System in October, delivering the new cognitive-enabled “Easy Button” office supply reordering system which integrates IBM’s Watson technology to simplify office supply management for Staples Business Advantage Customers. The Staples Easy System enables customers to order anytime, anywhere, from any device they prefer. The system uses IBM’s Watson Conversation service to provide an ordering interface for customers across the Staples Easy System ecosystem — whether it’s via Staples’ proprietary next-generation Easy Button, through the app, text, email, over Facebook Messenger or with a Slackbot. “Where Watson’s playing the bigger role is the Easy System in the cloud, which is powered through text or chat or email or by the button itself, where our customers are able to reach us in a conversational format any which way they want,” Masud said. “Our focus with IBM is going to be just that — to make our most common use cases: placing orders, tracking orders, returning orders, asking questions about products, those types of use cases to be solved through cognitive,” Masud added. In the B2B world, Staples is trying to create a solution for the enterprise and the mid-market business where the company can provide an assistant to the office manager and make their lives friction free. “Where today they have to do a lot of these tasks themselves, we want to take on that burden from them via cognitive,” Masud said. The Easy Button system enables users to quickly reorder supplies, track shipments or chat about customer service needs. It combines Watson Knowledge Studio and Staples’ own internal personalization APIs. The cognitive capabilities will help the system to learn more about each businesses’ preferences over time, including their preferred products and quantities. Eventually, the system will even be able to make product and services recommendations based on the customer’s current needs. “A critical component of Watson’s technology is engagement, facilitating better interactions between brands and consumers, deepening connections and enhancing how people engage,” said Steve Abrams, distinguished engineer and vice president of developer advocacy for IBM Watson, in a statement.